Tuberculosis remains the world’s deadliest infectious disease. The United Nations General Assembly held its first ever high-level meeting on ending TB. 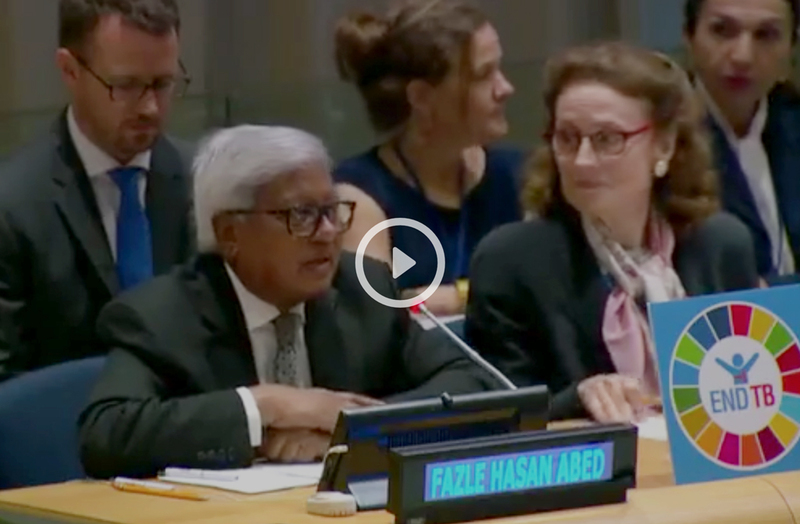 BRAC’s Sir Fazle Hasan Abed spoke on Bangladesh’s journey so far in combating the disease. New York, 26 September 2018 – “Two hundred years ago, tuberculosis was one of the leading killers in Western countries, due to the unsanitary and often crowded conditions of early industrial society. In New York City, from 1800-1815, 25% of all deaths was due to TB. As effective treatments were discovered, it gradually became a disease of poor countries and, as a result, financing for research and development dried up. The richer countries began to see the disease as somebody else’s problem. This accounts for the situation we face today. TB is the deadliest infectious disease in the world, yet we face enormous gaps in research and development funding. There is an urgent need to invest in new tools and treatments, such as vaccines, diagnostics and drugs. We also see a shortage of effective delivery mechanisms, including incentive schemes that account for the lived reality of tuberculosis patients. I believe nongovernmental organisations, enabled by governments and in partnership with donors and the private sector, can play a critical role in this area. The experience of BRAC may offer lessons for others. In Bangladesh, we discovered one of the largest barriers to treatment was not access to drugs. It was that most people simply failed to stick to the long course of treatment required. After a few weeks, their symptoms would improve, so they would stop taking the antibiotics. The bacteria would therefore remain latent in their bodies, often with a resistance to drugs, only to emerge later, even more difficult to cure. We came up with a solution that holds patients accountable for their own treatment through a simple economic nudge. When they are sick, we ask them to put down a very nominal deposit – usually BDT 200, or about USD 2.40. In exchange, a local community health worker delivers the medicine to their doorstep. The patient receives their deposit back after they complete the entire course of treatment in the presence of that health worker. 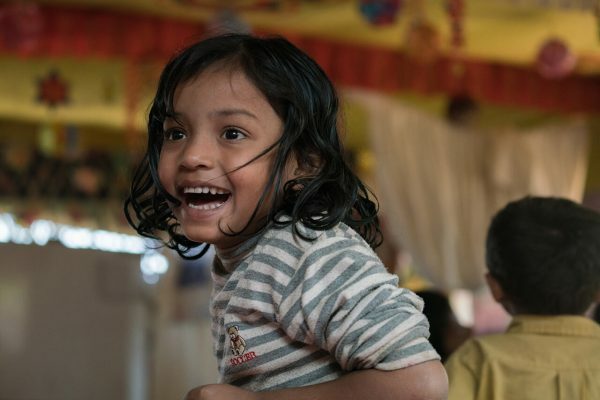 Partly as a result of delivery innovations such as this one, attuned to realities on the ground, BRAC now provides TB services on a larger scale than any other NGO in the world. Working with the Government of Bangladesh, we reach 101 million people and ensure case detection and treatment for over 160,000 TB patients annually. This constitutes 65% of the total number of notified TB cases in Bangladesh. The cure rate is 94%.